Los Angeles incarcerates more people than any other city in the United States, which imprisons more people than any other nation on Earth. In this talk based on her new book, historian Kelly Lytle Hernández explains how the City of Angels became the capital city of the worlds leading incarcerator. 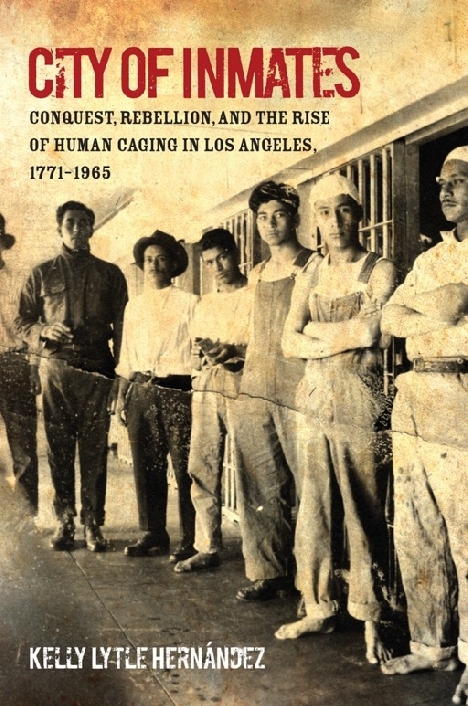 Marshaling more than two centuries of evidence, she unmasks how histories of native elimination, immigrant exclusion, and black disappearance drove the rise of incarceration in Los Angeles. In this telling, which spans from the Spanish colonial era to the outbreak of the 1965 Watts Rebellion, Hernández documents the persistent historical bond between the racial fantasies of conquest, namely its settler colonial form, and the eliminatory capacities of incarceration. Followed by a reception with light refreshments. Refreshments: Followed by a reception with light refreshments.